We took a break from working on the Crown to attend a local drifting event. Definitely worth it. 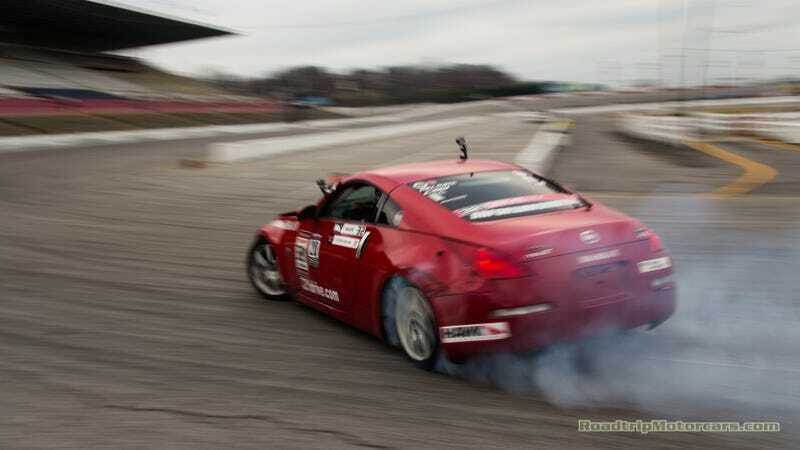 TN State of Drift, East10Drift, Traction Optional, and all the drivers put on a great show. It was our first time going out to a car event in the area, and we met a lot of great people. We can't wait for the spring season to start so we can take the Aerocabin out to some meets here in Kentucky and Tennessee. I'm still getting used to the weather here…45 degrees, overcast, and wet…basically the opposite of LA most of the time. That didnt stop the fun though. The track was a little bit wet to start with, but dried pretty quick. Check out RoadtripMotorcars.com for the full gallery. Check back later for the film gallery, still waiting on my color to get back from the lab. Follow us on Instagram and Facebook to get all the updates.